Why would buyers fly into a frenzy over flats located in what used to be a cemetery? Sounds bizarre, doesn’t it? What is its popularity based on? Is it simply overhyped, or is there firm basis on why flat buyers desperately want to bid for it? In this article, we discuss the main reasons about the popularity of Bidadari flats. Read on to find out! 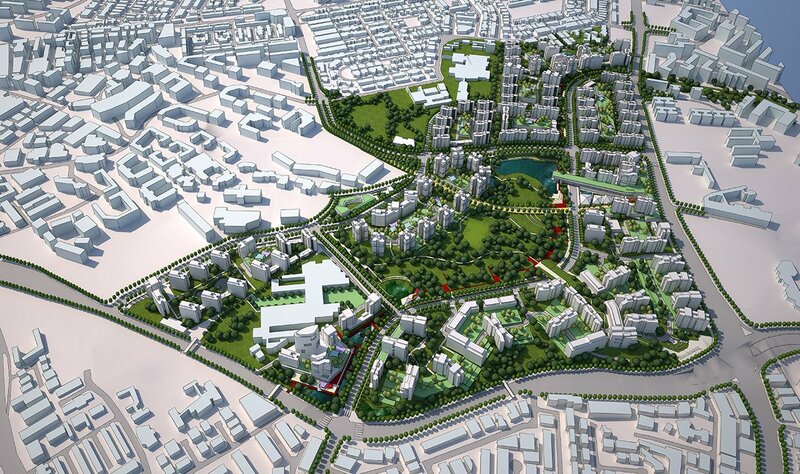 Estimates say that Bidadari, located in the central area, is going to be the “future Bishan of Singapore”. Location has always been one key factor when buyers think about which flat they want to go for. For Bidadari, although stated to be in the Toa Payoh region, it’s suited nearer to Woodleigh, Bartley and Potong Pasir instead. In fact, the upcoming May 2017 exercise sees one right beside Woodleigh MRT. That means that it’s situated in a convenient area of Singapore, and a trip to town is only 20 minutes away by train! Given its central location, it’s no surprise why there’s a huge demand for it. For people who have been taking the MRT for almost all their life, they would understand the frustration of having to take it for long hours. Add the frequent train breakdowns and being squeezed like a sardine can – it’s simply annoying. In fact, I myself dread it. If I had the chance to stay nearby, why not? Most employees also work at the city areas. Let’s not even start on those who work till late hours. By the time they reach home, rest and shower, it would be time for bed. Therefore, it’s only natural that demand would increase, seeing how Bidadari flats can be very near to strategic locations as mentioned above. Popular Schools within a Stone’s Throw. This is one benefit most kiasu parents can’t wait to get a piece of. Cast a glance at the map and you’ll realise there’s a bevy of popular, “branded” schools everywhere nearby. They include, but are not limited to, Maris Stella High, Cedar Girls’ Secondary School, the Stamford American International School and St Andrew’s Secondary School. As a mature estate, it’s not the cheapest, if you compare Bidadari flats to others, such as Woodlands, Sengkang or Punggol. However, it’s not the most expensive either, considering how prices can reach up to $700k for flats in Clementi. This makes it pretty affordable for upper middle-class buyers. Since they can afford it comfortably, it would be enough reason for them to purchase it. This is a big factor – resale flat prices in the same area can go for $700l to $900k on average. Most people also intend to treat their first HDB flat as an investment, sell it and purchase another one in the future. Imagine if you get your Bidadari flat at $500,000 and manage to sell it at $900,000 in the future. You can get another property in a less demanded area such as Yishun for much cheaper, and likely net a lot of returns.